KF-52-BK | KWI Technology Inc. The KF-52-BK rack from Kingwin has space for 5 H.D.D. and bay slots making it a revolutionary product in the market. 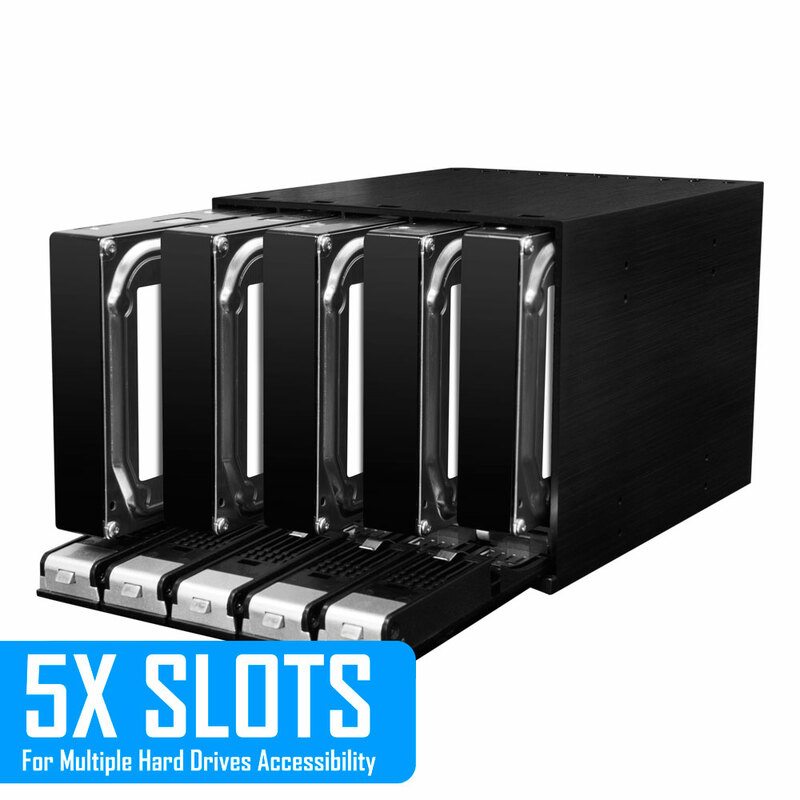 The 5-bays make the unit stand out and a “must have” device for both IT professionals and technology enthusiasts. It works well with all types of computers and most of the popular operating systems. 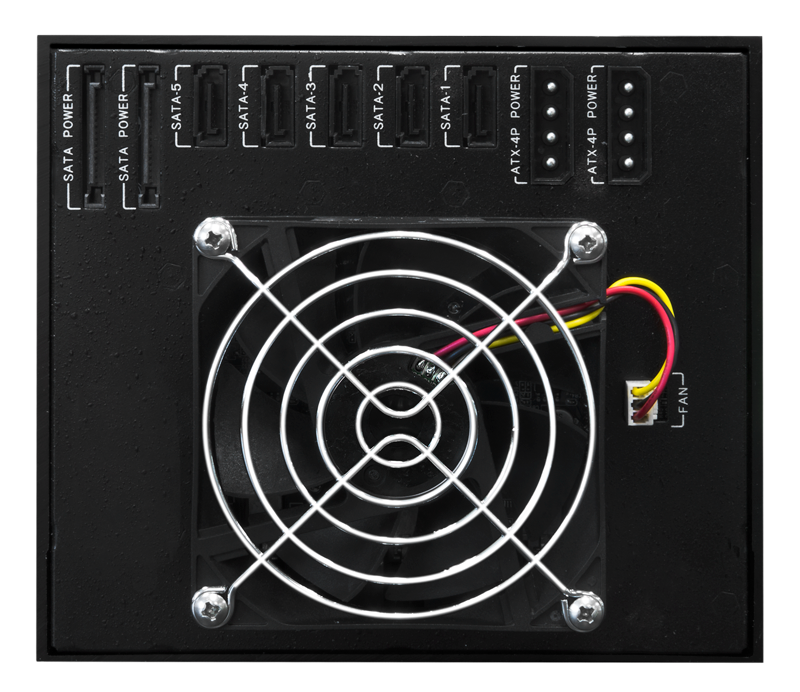 This mobile rack is connected to power using its SATA 7 pin and 15 pin Serial ATA connectors which are part of its purchase packaging when bought at a store or online. 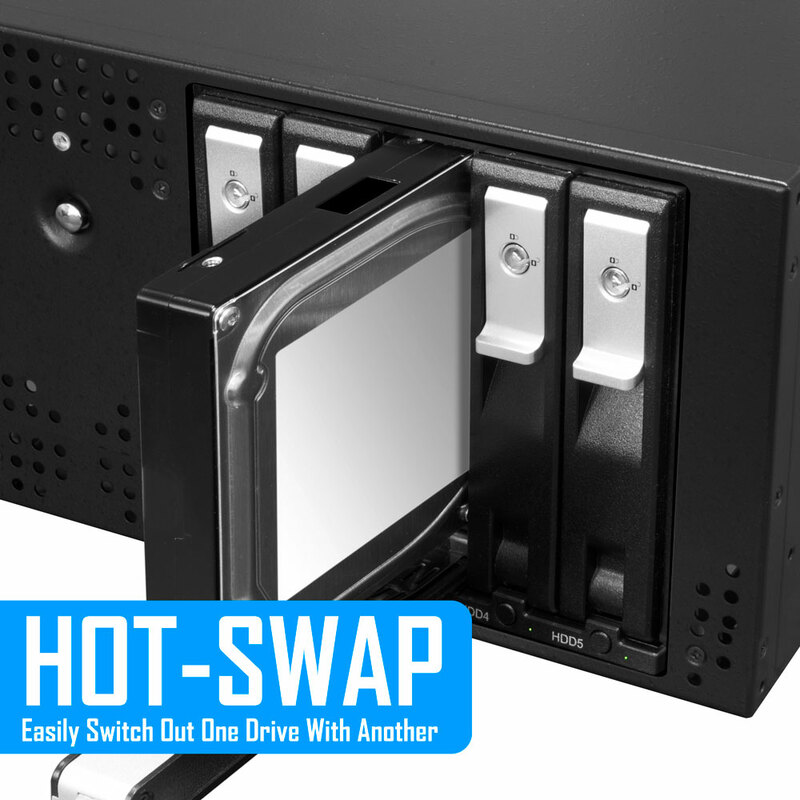 Its hot swap feature is one of the selling points of this drive rack for IT consultants working from home or at the office. 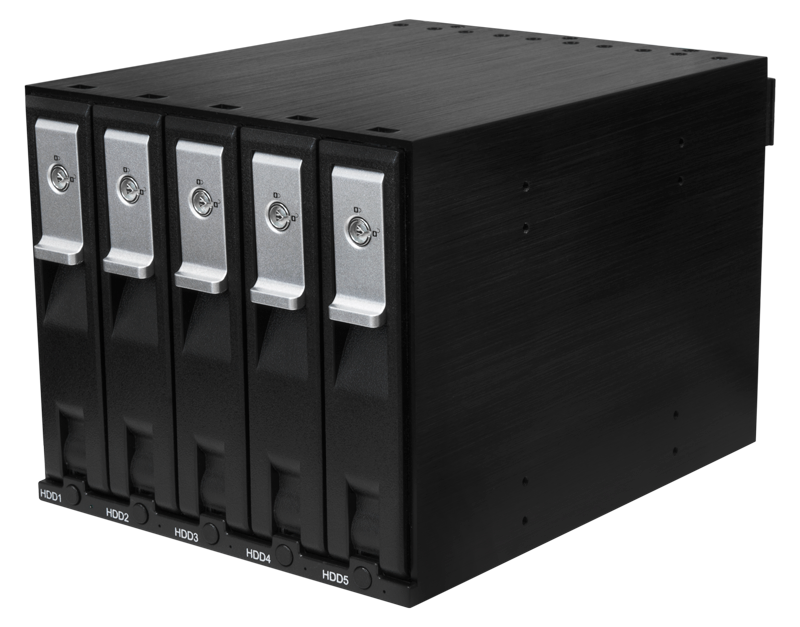 You are able to quickly swap drives without having to worry about the risk of overheating. 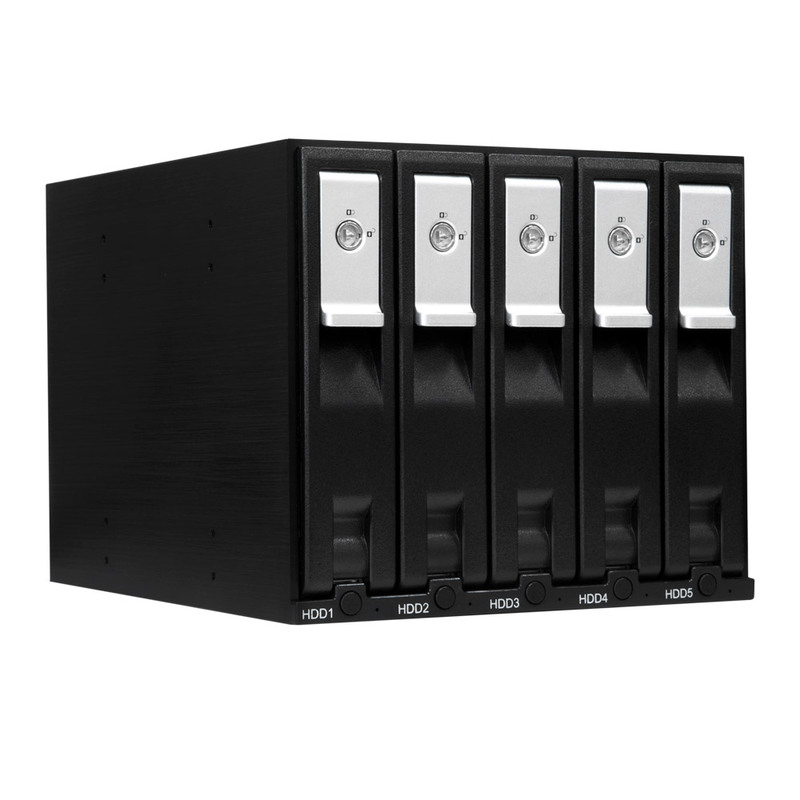 The hard drive rack can handle activity in its 5-bays running simultaneously with no fear of breaking down. To ensure that overheating is not a problem, the design of the KF-52-BK has incorporated cooling fans in its construction. The 80 x 80 x 20 mm fans work round the clock to keep the functions of the unit working well. 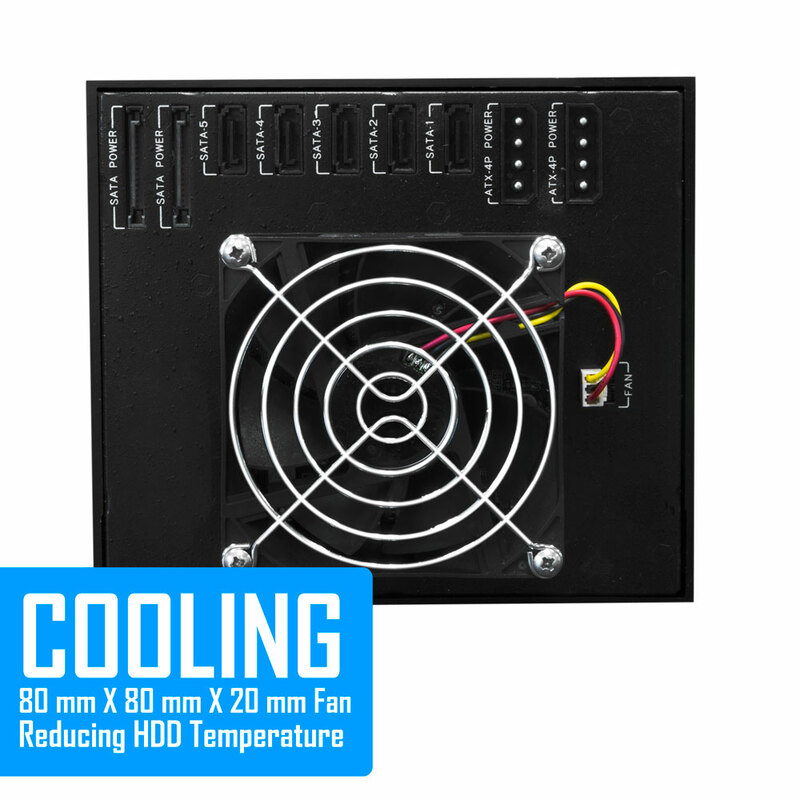 To support the cooling fans is the control switch that regulates their speed to match the work that is being done by the unit. 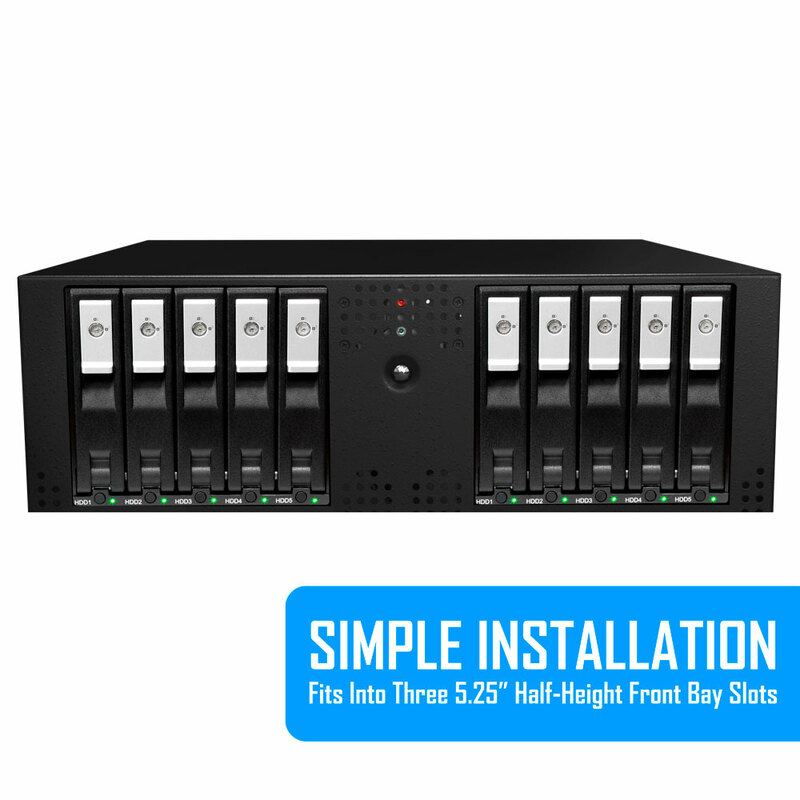 The Serial ATA interface on the rack makes its use much faster because of the high transfer rates it can handle. 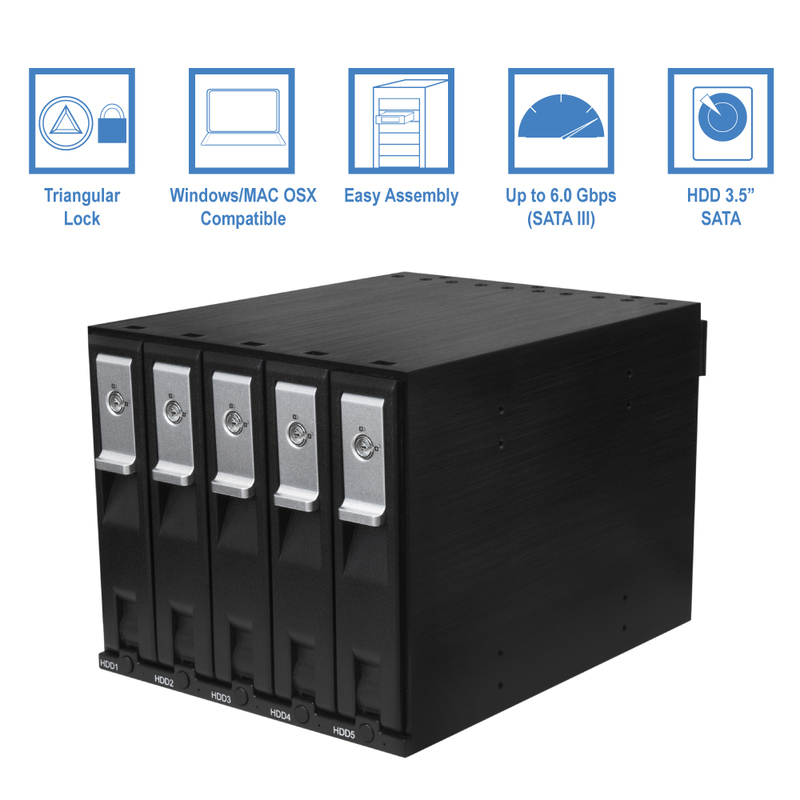 It can currently offer SATA III drives speeds of up to 6gbps which allows for data to be transferred or even duplicated within a short time period. 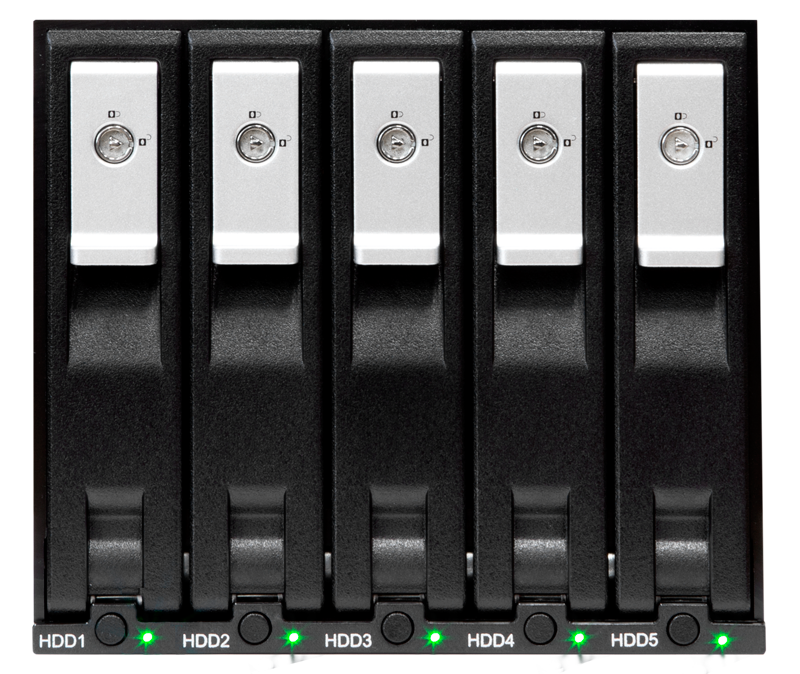 On the mobile rack unit, a 3.5” SATA H.D.D. drive can be connected for better performance. The tray-less design of this unit makes it overall design much more modern compared to older models. 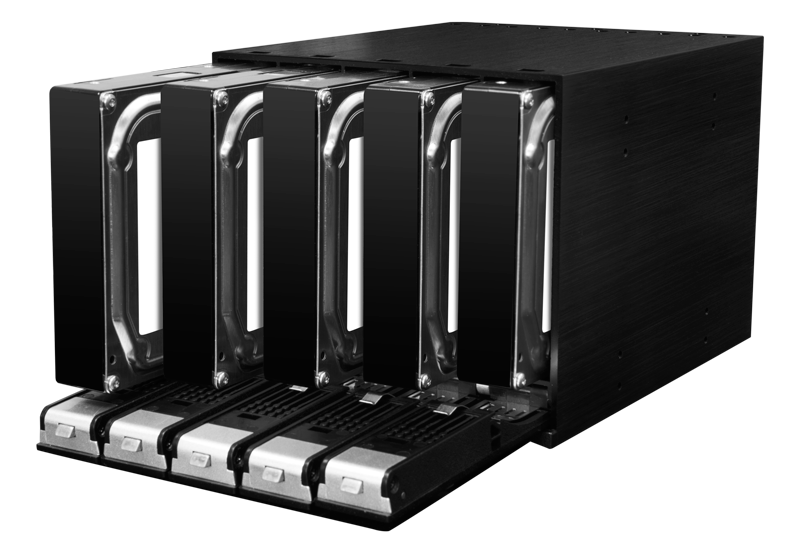 Hard drives are simply placed in the unit and they are used as needed without any distraction from trays. Its aluminum bezel finish gives it a black finish that complements other commonly used devices in offices. 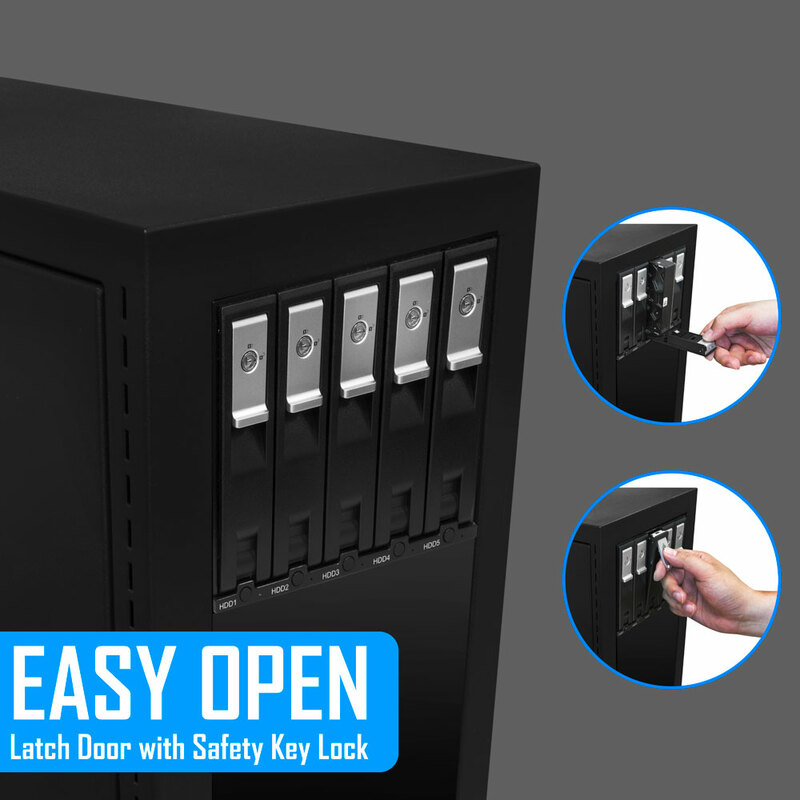 The key lock system is designed to keep valuable data in the drive rack safe and the key lock area placed at the front of the unit for easy access. 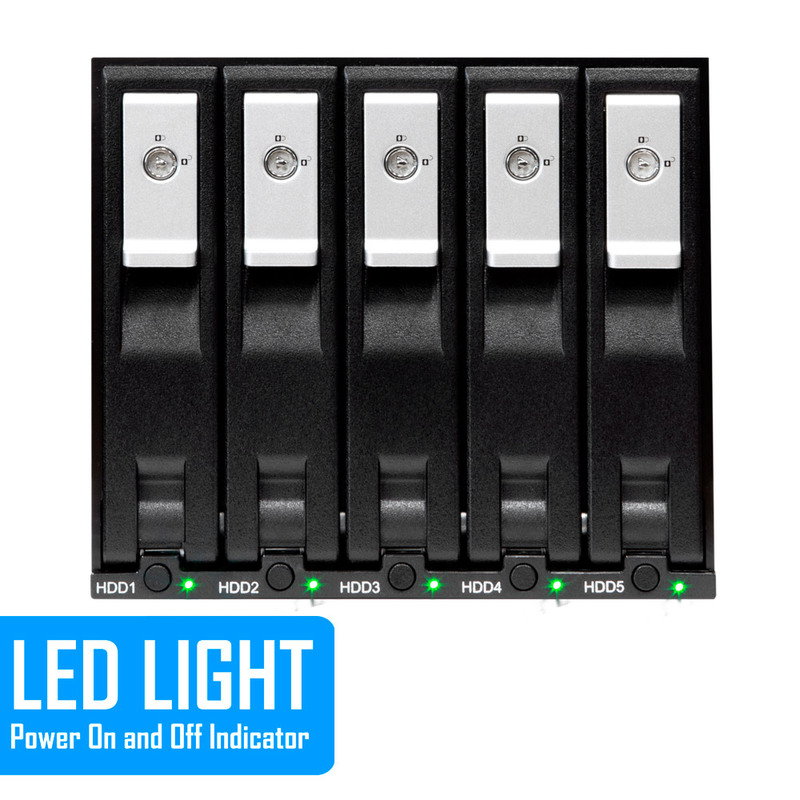 In terms of display, the 5-bay rack unit has an LED Display that has an on and off switch which makes it user friendly for beginners and professionals. When using the KF-52-BK rack, it is easy to move it around because of its minimal 1.13kg weight making it ideal for freelancers. Its operational features are well placed on the unit with light indicators for power and HDD activity being very distinct. The rack unit is powered on when it displays a blue light, and a blinking light, purple in color indicates action concerning HDD.